Magritte - les valeurs personnelles 1952. The animation is taken from an ongoing VR painting project to reconstruct Van Gogh's Yellow House at Place Lamartine in Arles. 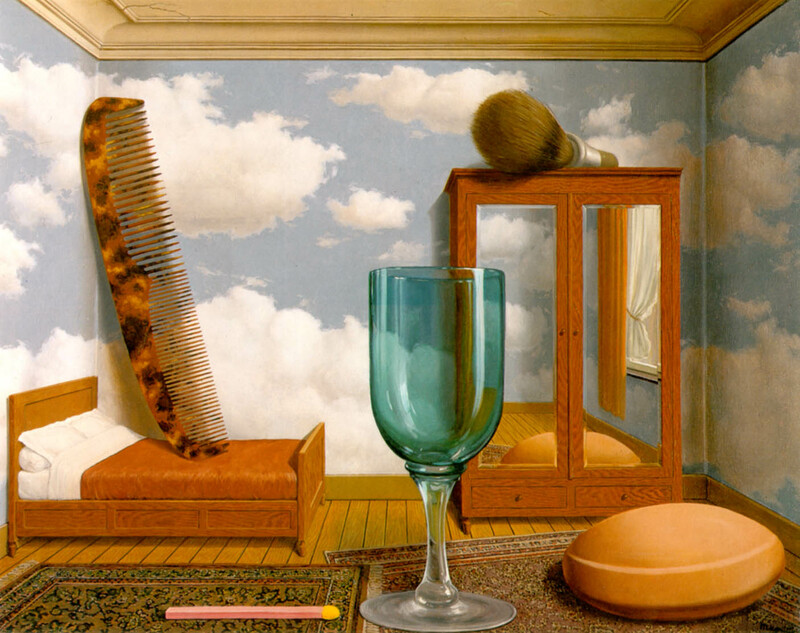 The paintings of his bedroom have been broken down into individual 2D elements which were then built and painted in 3D before being reassembled into a model of the room. The works of various Dutch artists are being used as the source for recreating the spaces represented in paintings of Delft including a new virtual reconstruction of Vermeer’s house on the Oude Langendijk canal. The painted elements are extracted, modelled and reassembled in 3D space which can then be explored in VR. The surreal painting, les valeurs personnelles was completed by Magritte in 1952. This virtual version of the painting allows the viewer to move and explore inside the room.